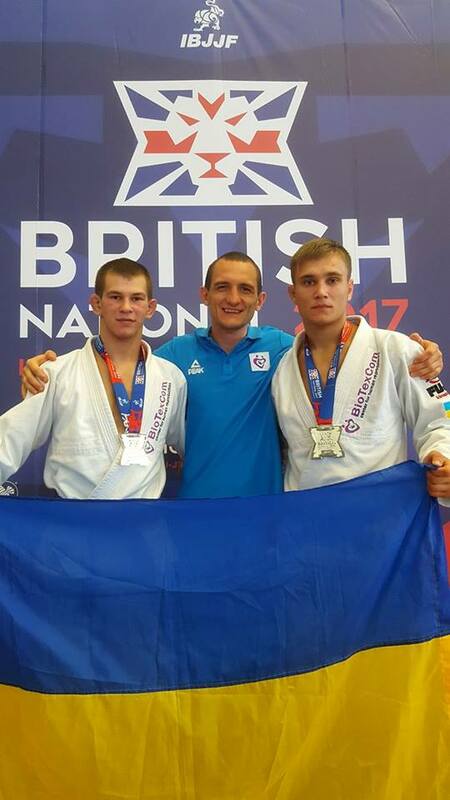 Jiu-jitsu.News: ZR Team in London – Ukrainian fighters won gold! Ukrainian fighters of the SC Borets/ ZR Team Kropivnitskiy Yaroslav Blazhko and Roman Nepota won gold medals during the Open Championship in Great Britain! The best representatives of the Brazilian Jiu-Jitsu from all over the word gathered together for the gold in England. Ukrainian fighters have met on the mat with the representatives of Brazil, Greece, Italy and Germany. Yaroslav Blazhko had 4 fights – one fight he clinched and 3 fights he defeated on points. Roman Nepota also had 4 fights which he won by technical superiority. Fighters and coach of SC Borets/ZR Team Kropivnitskiy are satisfied with competition in London and its results for Ukraine. Fighters wrote words of thank on their social media pages. They have thanked friends, relatives and sponsor (“BioTexCom” company) for great support and faith in their victory. In addition, fighters have noted they are happy of these victories nevertheless they are not ready to rest and will continue to glorify their country abroad.